Boy Scout Independent Studies allow you to complete requirements towards Badge fulfillment just by visiting the Museum! Have questions? To learn more about Boy Scout Independent Studies, please call (212) 873-3400 ext. 352. Reservations are not necessary. 2a) Visit a place that is listed as a National Historic Landmark or that is on the National Register of Historic Places. Tell your counselor what you learned about the landmark or site and what you found interesting about it. 4b) Choose a topic that interests you to photograph for an exhibit or display. Get your counselor’s approval, then photograph (digital or film) your topic. Process your images. Choose 20 of your favorite images and mount them on poster board. Share your display with your counselor. If you are using digital images, you may create a slideshow on your computer or produce printouts for your poster board. 2c) Visit a museum, art exhibit, art gallery, artists' co-op, or artist's studio. After your visit, share with your counselor what you have learned. Discuss the importance of visual arts and how it strengthens social tolerance and helps stimulate cultural, intellectual, and personal development. The New-York Historical Society holds an encyclopedic collection of over 800 works documenting the full range of representational sculpture in the United States from the colonial period to the present. Highlights include important groups of portrait busts by an array of sculptors, folk sculpture in a range of forms, the majority acquired by the pioneering collector and modernist sculptor Elie Nadelman; and a comprehensive collection of figural genre scenes by the prolific "people's sculptor," John Rogers, whose papers and studio tools also reside in the collection. 2c) The relationship of architecture with its surrounding environment and the community. 2d) How entire buildings can be reused rather than torn down when they no longer serve their original purpose. What you’ll find at the Museum and the surrounding area! The New-York Historical Society's building, an exemplary of Beaux-Arts architecture, was designed and constructed in 1903-08 by York and Sawyer, a firm established in 1898 by architects who had trained with McKim, Mead and White. In 1937, two new wings were completed at the New-York Historical Society (designed by Walker and Gillette). On the first floor of the Museum, you’ll find historical photographs which exhibit the evolution of the building from the proposed site in 1887 to its architectural completion in 1937. The Central Park West Historic District features diverse building types including storefronts, row houses, tenements, and apartment towers in Neo-Grec, Romanesque Revival, Beaux Arts, Neo-Renaissance and Art Deco styles, all developed mostly in the 1880’s into the 1930’s. 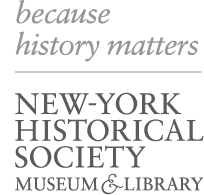 Discover the neighborhood the New-York Historical Society calls home! Explore the New-York Historical Society’s outstanding collection of over 2,500 American paintings—primarily portraits, genre scenes, and landscapes—dating from the colonial period through the 20th century, as well as a select number of European works. We’re very proud to share our newly acquired and conserved Picasso. Believed to be the largest Picasso painting in the United States, Picasso’s “Le Tricorne” is the first work by Pablo Picasso to enter our collection! 3d) Attend a Scouting event and write a 200-word article (feature or hard news) about the event. Use either the inverted pyramid style or the chronological style. Review the article with your counselor, then submit it to your community newspaper or BSA local council or district newsletter for consideration. 4a) Write two newspaper articles about the event, one using the inverted pyramid style and one using the chronological style. 4b) Using a radio or television broadcasting style, write a news story, a feature story, and a critical review of the event. 4c) Take a series of photographs to help tell the story of the event in pictures. Include news photos and feature photos in your presentation. Write a brief synopsis of the event as well as captions for your photos. Attend one of our Museum’s public programs, which feature topics in history and current affairs, highlights from current exhibitions, film discussions, and musical performances. Click here for a schedule of upcoming public programs! To learn more about upcoming Family Programs, please click here.